Extra Gram Ken is an upcoming indy artist from Raleigh, North Carolina. He is also CEO of Never Going Broke Music Group which features a slew of talented artist from the Carolinas (Pablo Blanxo, Carus2cold, Johnny Mulsane, and TFG Kis). 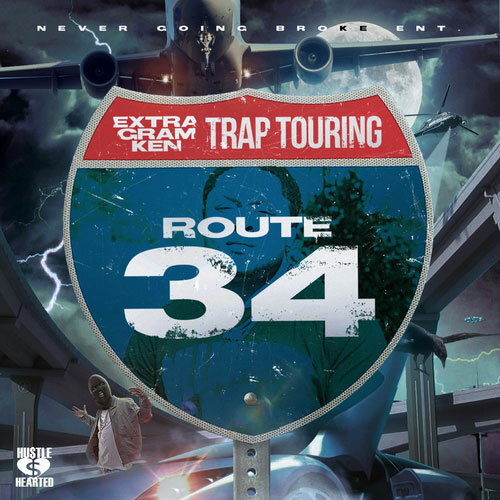 Today, Ken releases his first and highly anticipated mixtape/album titled Trap Touring: Route 34 hosted by Hustle Hearted, DJ Mad Lurk & DJ Tom Cruise. The project is available on iTunes, Spotify, Tidal, and all streaming platforms. Also be on the lookout for more projects from Ken and all the Never Going Broke Music Group roster as they have a lot in store for 2018!